← For the Moments I Feel Faint: Just say no. One of my favorite places to be, no matter where I am in the world, is outside on the porch enjoying the smell of fresh-cut grass or the damp air after a quick rain (not that it rains in southern California). So imagine my discomfort and disappointment when my favorite pastime of relaxing on the back porch sipping ice water with lemon and mint was rudely interrupted by these fearless. germ carrying, heaven only knows what eating, flies! There were a million of them– okay, not a million, more like seven; but they swarmed my place of solace and solitude. They landed on my newly potted plants, they buzzed ceaselessly around my head, I could barely hear my neighbor practicing “Shortenin’ Bread” on his new banjo! I tried my best to ignore them. It was a lovely day, 78 degrees and sunny. I just wanted to kick back on the porch listening to the sounds of summer in my neighborhood while I pinned ideas for my nieces first birthday and sip some ice-cold water with lemon and mint. I wasn’t in the mood to swat at these little guys. So I sat back and tried to relax while shooing them away every now and again. That worked for all of a few moments until one bold little fella decided to stake his claim of the porch and show his utter disregard for my generosity in letting them sit in the shade on my porch and landed right on the rim of my glass, just where I would place my lips to take a sip. That was it! I took my now tainted glass of water into the house, grabbed my keys and went to Target to search for a fly swatter. It was on. When I returned to my porch armed with my new weapon ready to take back the area that was rightly mine, I was surprised to find even more flies had come to join the party. They thought they’d won. They thought they’d gotten rid of me. I took action; it was a massacre (moment of silence for the flies), but my cat-like reflexes served me well, and I got rid of all but a few of the trespassers which now know the wrath of my fly swatter. 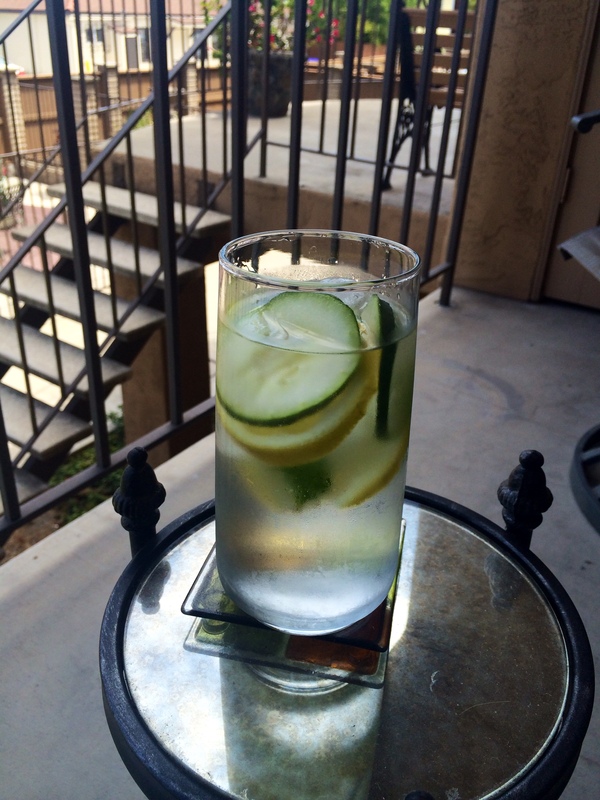 As I sat on my porch later that evening with a fresh glass of ice water with lemon and mint (and a slice of cucumber to celebrate), I realized that my war with the flies was a lesson. In life there are moments when I am bothered by or made uncomfortable by seemingly small things, and in lieu of kicking up dust or inciting conflict I try to ignore them or just deal with it; however, some things, however small they may seem must be dealt with before they become bigger issues, before they push you off of your porch. And while you may miss some of the flies you swat, at the very least, you’ve let the flies know that they aren’t welcome and you are willing and prepared to take action if the problems persist or escalate. And that’s a defense in and of itself. This entry was tagged Flies, Fly Swatter, Nip it in the Bud, Small Things. Bookmark the permalink.